Being Frugal and Making It Work: Kabooti Seat Cushion: Supportive Comfort for Your Booty! 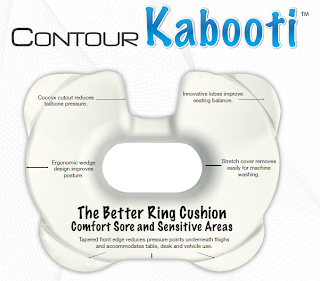 Kabooti Seat Cushion: Supportive Comfort for Your Booty! We all know how uncomfortable certain seats and benches can be to sit on, especially for extended periods of time. If you have back aches or other medical issues, it can prove to be even more painful. My dad has back issues, but he loves to come watch his grandchildren compete in sporting events. Some of these events, such as wrestling tournaments, can last all day long and we all know how "comfortable" those hard bleacher benches are. Not only are they hard and uncomfortable, they are cramped and nearly impossible to get into a relaxing position. This weekend, my dad had the pleasure of trying out the new Kabooti seat cushion, which was exactly what he needed. It was soft, comfortable, and provided hours of support. 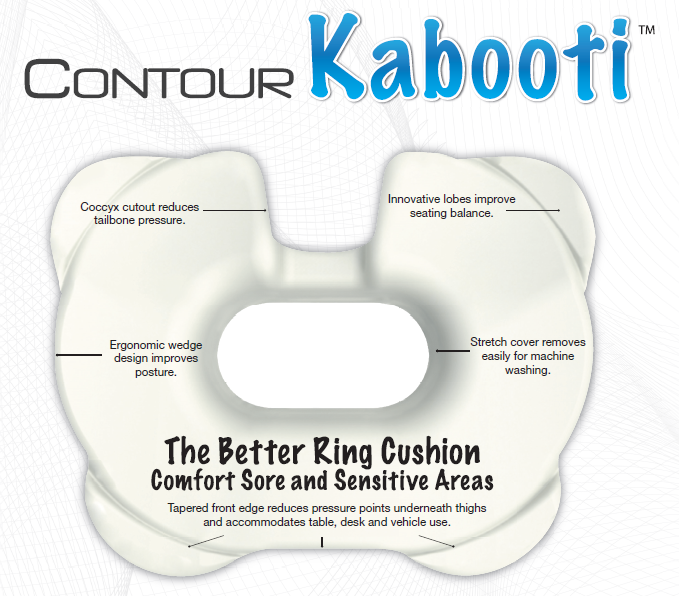 In addition, the Kabooti seat cushion is light and portable, making it easy to take and use anywhere! It even has a handle making it easy to carry. Whether you need a donut cushion or a coccyx cushion for medical reasons or improved comfort, or a superior seat cushion which can provide all-day comfort, this is a great choice. my mom needs this badly!! This articlehelp me. Thank your for sharing.